You may have noticed, I have been a little sporadic in publishing new posts lately. Sure, I did say I was going to reduce my new articles to once every couple of weeks or so, after starting my new position. But it’s been three weeks since I published anything! OK, but at least I have a few excuses. I did just get back from camping with my daughters in the Wisconsin North woods for a week. And yes, despite the rainy weather and 42 degree low’s we had to endure, we did have a good time. Before the trip, I also managed to put my house up for sale and sell it. So, it’s been a bit busy around here. At least I got a blog post idea out of it. 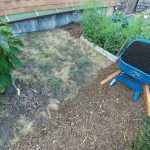 As I start to consider packing up my belongings, I remember signing that little line on my sales contract that said I am leaving all the vegetation behind for the new owner. I don’t mind leaving the crabgrass or dandelions, but there are some plants I have become particularly found of and will be sad to leave. Today, I thought I would go ahead and share my favorites that I wish I could take with me. 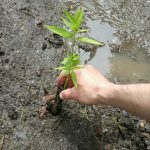 Although it is a little crowded these days by my neighbors river birch, this stick in the ground has come a long way since I planted it as a memorial tree for my late brother David, fourteen years ago. From that first summer after I planted it, when it didn’t leave out till July (what was with that?!) till now, it has been a consistent trooper. Here it is ten years later on a Fall day. Purple Fountain Weeping Beech Spring of 2015. 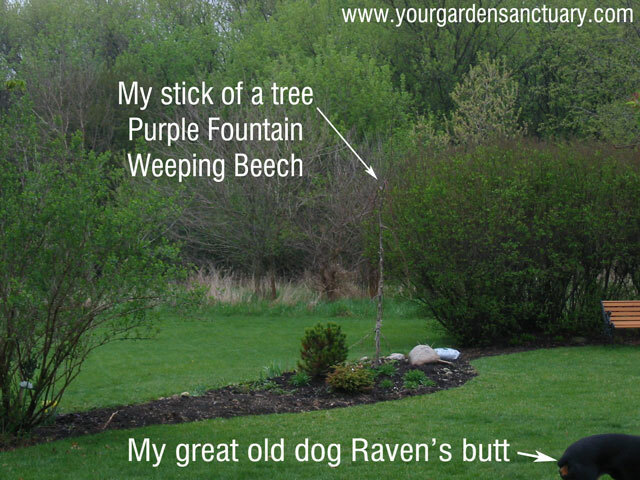 Click Here for more information on the Purple Fountain Weeping Beech. 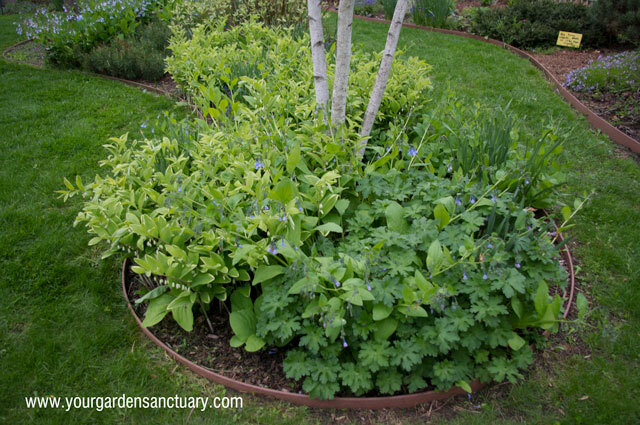 Runner Ups – Vinca Minor ‘Dart’s Blue’, Moss phlox (Phlox subulata), European Ginger (Asarum europaeum) – Note the Vinca is a bit invasive. 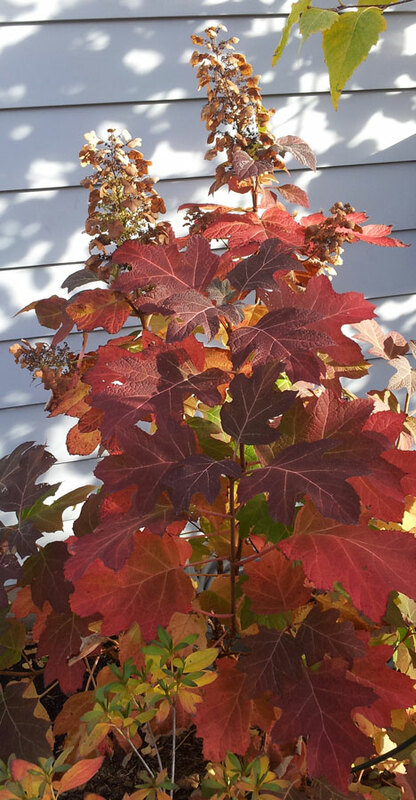 Yeah, this is a new comer to my yard that I only planted last year (click here to read more). Thanks again to my then coworker Catherine, for generously sharing extra’s from her yard. In it’s first full year it has been a great performer. With it’s fresh green foliage popping out of the ground in early spring. I have read that it also does a good job suppressing the weed seeds of garlic mustard. I hope the new owners appreciate as it gradually fills in over the years. 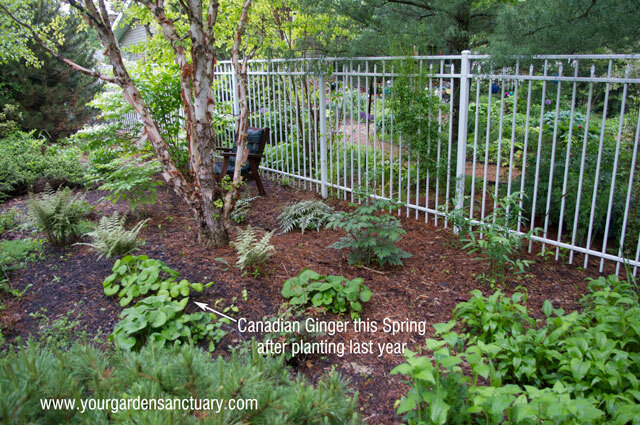 Canadian ginger growing in Spring. 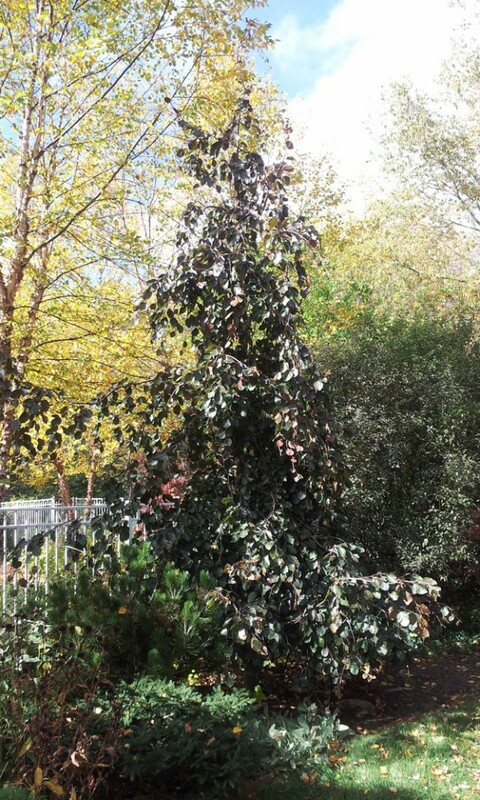 The non native European variety is also a winner with it’s glossy leaves. Although it spreads very slowly and tends to be expensive to buy. 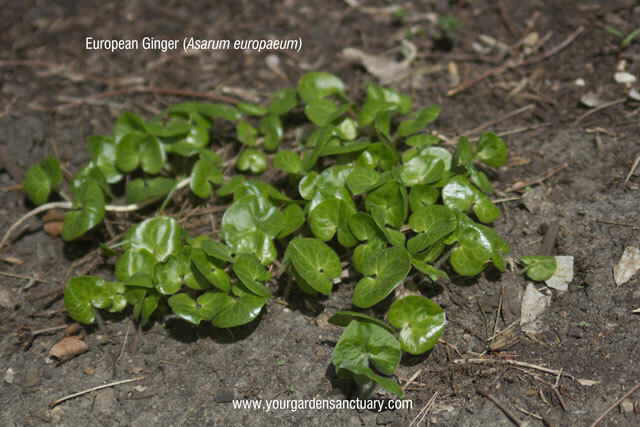 European Ginger with it’s glossy leaves just popping out in early Spring. 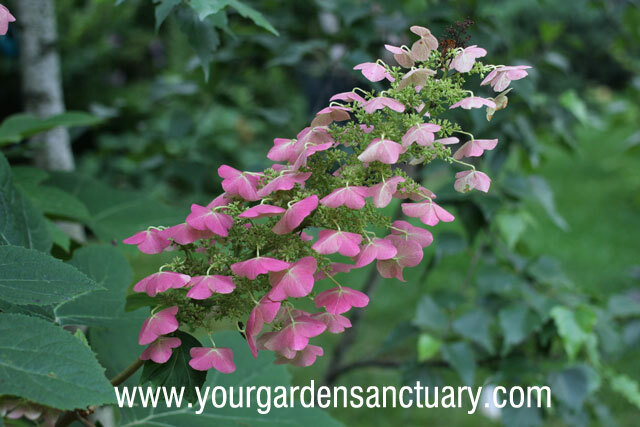 I am still in my infatuation stage with my native big leave bold textured hydrangea. I will be definitely be planting several of these at my new home. Heck, I might even spend more than the $8 I used to pick up the one gallon plant I bought during a Fall sale many years ago. 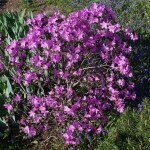 See my blog post here for more information on this great shrub. Fall color is not always this red, but it’s always good! 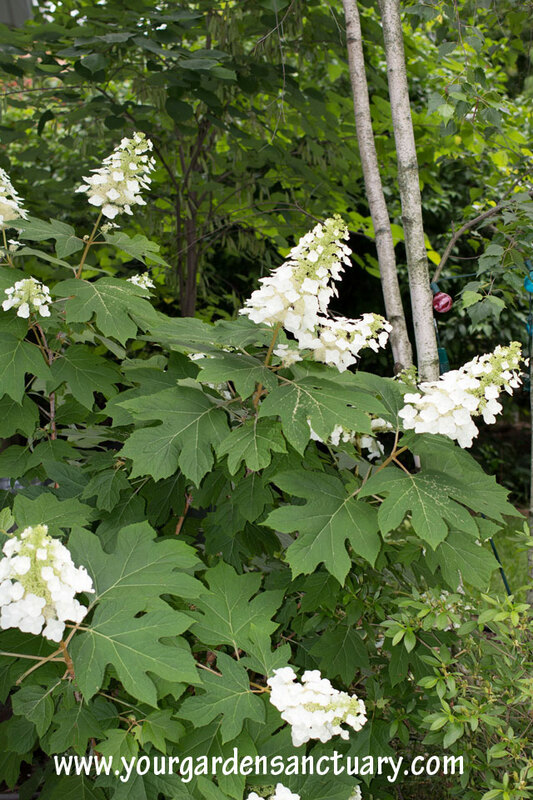 Oakleaf hydrangea blooms start white, then turn pink before finally drying to a nice tan shade. From the early Spring I first started three flats of Purple Coneflower in my utility room under a florescent shop lights till today, they have been a persistent part of my yard. 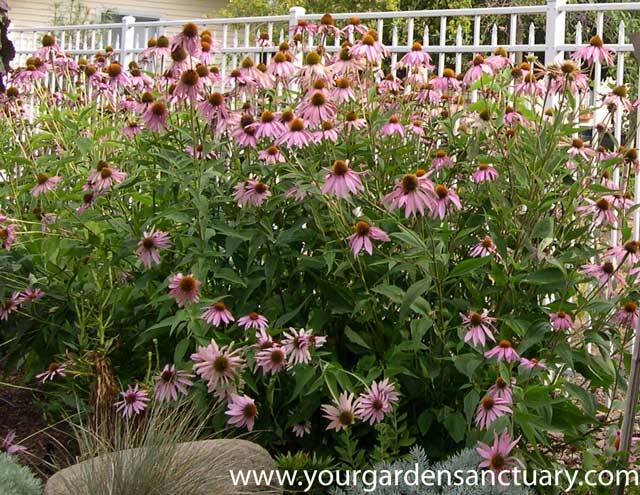 Purple Coneflower always provides abundant blooms. Individual plants are fairly short lived by perennial standards, but thankfully their children will happily replace them so you never notice a decline if you leave seed heads. 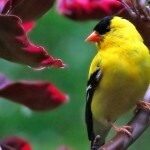 Which I always do to attract Goldfinches and other birds. My favorite feature of the cone flower is it’s absolute independence of any need for watering after it is well established. I have have had two month droughts in the middle of a blazing hot Summer where my entire yard looked ragged, yet come July these coneflower happily give an abundance of beautiful butterfly and bee attracting blooms. Plant breeders have done amazing things with these coneflowers making all different types of blooms and colors. Yet, I will always recommend you go with the straight species. Mother Nature made these plants pretty perfectly. If you want them a bit shorter, it is easy enough to take a hedge shear and cut them by one half when they are about 2.5 feet tall in June and you will get blooms about 1 foot shorter then normal. The Varigated Solomon’s Seal does a great job swallowing up the space left over by my Virginia Bluebells as they fade in early Summer (although my geranium would prefer they leave him alone). While I won’t dig up these plants and take them with me. I am pretty sure I will get most of these favorites for my new yard. Probably some of the runner ups too! Good thing I get a discount at the Nursery I work! I could have stipulated things that I wanted to take or not include the plants. But the yard was a selling point and by the way, moving trees is hard work! To tell you the truth, starting fresh I would do things differently anyways. 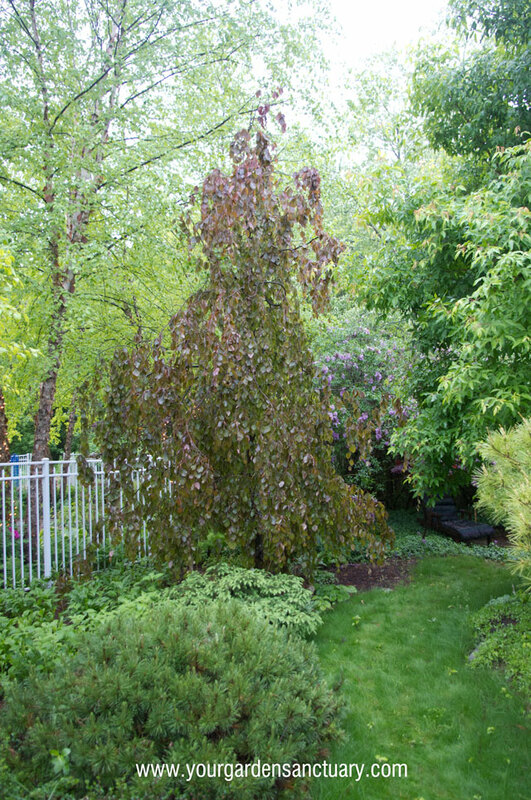 I like this garden, but I am looking forward to creating a new one.